The increasing popular canvas floater frame allows the canvas to be loaded into the front of the frame so that the entire canvas is displayed. Typically a canvas floater frame will be around 10mm bigger than the canvas so that there is a small gap between the canvas edge and the frame. This small gap will give the illusion that the canvas is floating in the frame and allow for the edges of the canvas to be visible. Check out our How-To video for more information on fitting a canvas into a floater frame. 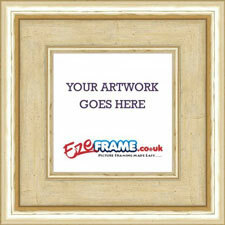 The traditional way to frame a stretched canvas is with a normal picture frame, but without any glazing or backing. The canvas is loaded into the back opening of the frames, and the frame rebate will overlap the first few millimetres of the canvas edge. Typically this method is used when framing traditional style oil paintings. The oil painting is held in place using the supplied Z Clips. To frame or not to frame; that is the question. The thing with stretched canvas pictures is that in many cases they're ready to hang, with no urgent need to add a frame. In fact, many people do hang stretched canvases 'as is', creating a contemporary and minimalist look. But this isn't everyone's cup of tea. 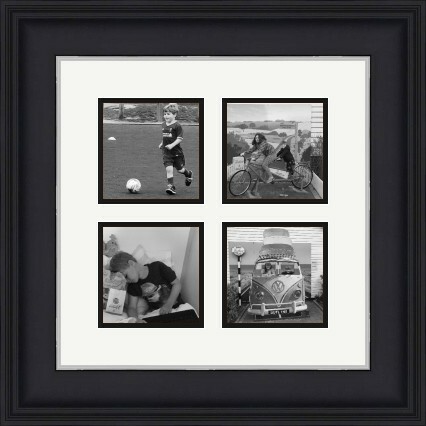 Some people think of an unframed image as being incomplete, and others simply prefer the look of a frame. Some canvases may also look better with a frame, especially if they haven't been gallery wrapped and have visible staples at the sides. It's really up to you whether you decide to frame your canvas or not. 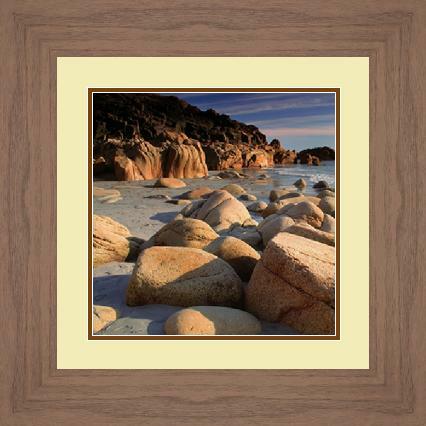 So let's say you do decide to frame your canvas image. What are your options? There are two main choices here: a traditional frame, or a floater frame. As the name suggests, traditional frames are more classic in appearance, while floater frames are a little more modern. As with most things in the art world, there's no right or wrong decision, but a general rule of thumb is to make sure that the frame matches the style of artwork. Can you imagine framing a Banksy in a classic, ornate frame? 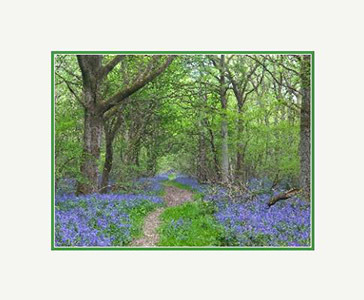 It may look a bit odd; So how do you know what type of canvas frame is right for your image? Let's take a look. A traditional picture frame for canvas is just like the regular photo frames we all know and love ' with just a few small differences. 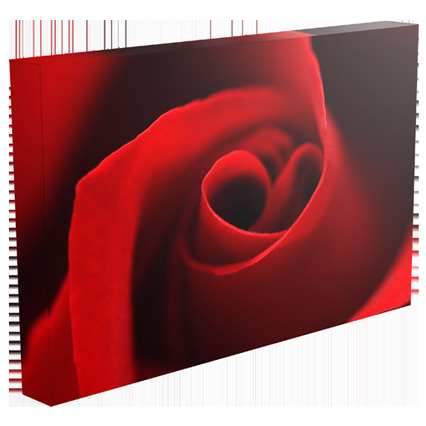 As stretched canvas pictures are usually a lot thicker than normal photo prints, a traditional canvas frame won't have a glass or perspex front, or a board that clips onto the back. The canvas is loaded into the rear of the frame, just like a normal photograph or poster would be. The result is pretty much what you'd expect; the image is displayed, with the front of the frame overlapping the canvas slightly around the edges. This overlapping 'lip' is known as a rabbet, and can be as slim or as thick as you like. However, even the slimmest of rabbets will still provide some overlap to the image, so keep this in mind if there are important details around the top, bottom, or sides of your canvas. As traditional frames overlap the image, they usually have a more pronounced and obvious appearance than the more sleek and streamlined floater canvas frames. 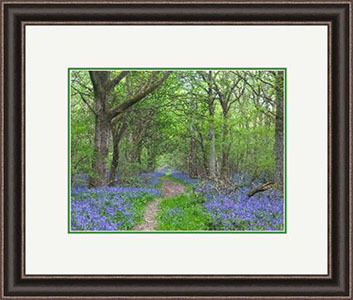 Traditional frames can sometimes be quite bold and eye catching, so here at easyFrame we think they're best suited to images that are very strong, vibrant and dominant; artwork that isn't going to be overshadowed by an attractive picture frame. A floater frame is a little bit like an open box with no lid; it's a modern alternative to a traditional picture frame where the artwork is loaded at the front, into the open space. The big advantage of floater frames is that there's nowhere that the artwork can be obscured or hidden, so the entire image is on show. This is great if there are important or appealing aspects at the very edges of a picture, like the artist's signature. Floater frames for canvas pictures are usually really easy to load; the canvas can be attached to the frame using self-adhesive velcro tabs, which secure the image into the 'box'. The result is actually pretty unique; it looks as if the canvas is floating as there are no obvious attachments. While it may be nothing more than an optical illusion, don't underestimate the eye catching effect that a floater frame can have. The only aspect that you really need to be aware of when buying a floater frame for canvas is the size. Size matters! Now is the time to think big, and choose a floater frame that's a little bigger than your artwork. Here at easyFrame, we think a frame that's about 10mm bigger than the canvas is perfect; close enough to look 'right', but large enough to leave a slight gap, to really intensify that floating effect. Although there are obvious differences between floater frames and traditional frames, there are actually a few similarities between them, too. 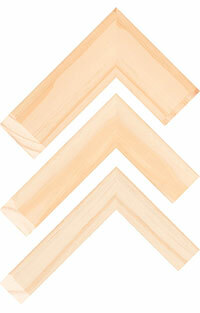 Firstly, no matter which type of canvas frame you opt for, you're going to find yourself having choices to make. Both floater frames and traditional frames for canvas images come in loads of different colours, finishes, and effects ' such as black and white, vibrant pinks and oranges, and wood, gloss, and satin effects, so you can easily personalise a frame based on the artwork. Secondly, when you shop at easyFrame, you can create your floater frame or traditional frame in whatever size you want, so it doesn't matter whether you have a small canvas or a large canvas; you'll be able to select the perfect size for your artwork. At easyFrame, we can create floater frames and traditional frames up to a whopping 1220mm x 915mm, for a frame that fits your canvas like a glove. 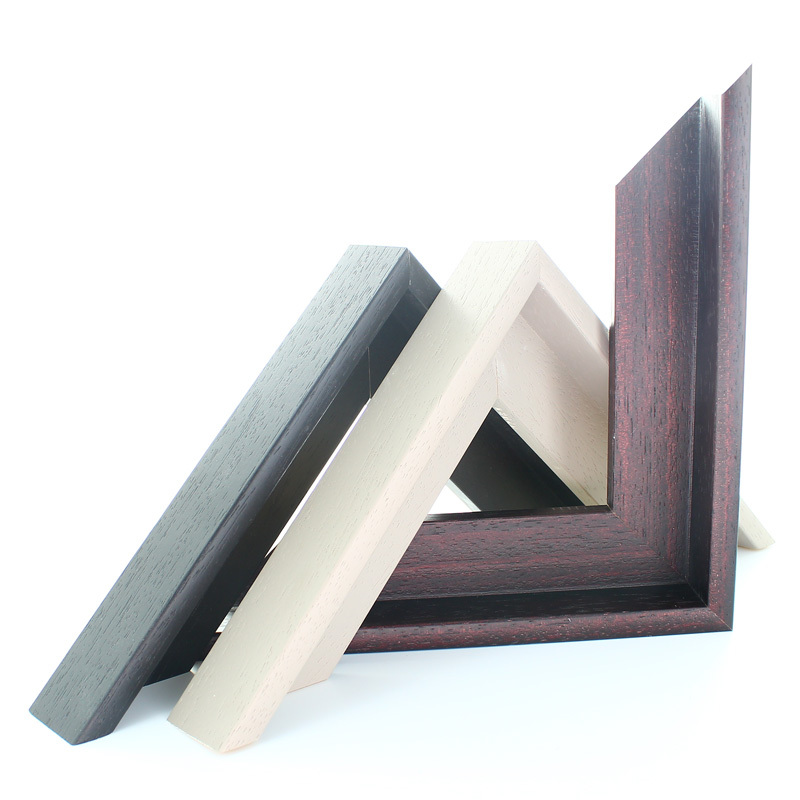 So which type of canvas frame is right for your stretched canvas? We wish we could help! While we can give you a breakdown of the differences ' and the similarities ' between floater frames and traditional frames, only you can decide what's best for your artwork. We know it's not an easy decision, but do remember that when it comes to art, everything is subjective. There really is no right or wrong answer, so opt for a frame that feels like it best reflects your image, and complements the style of the picture. 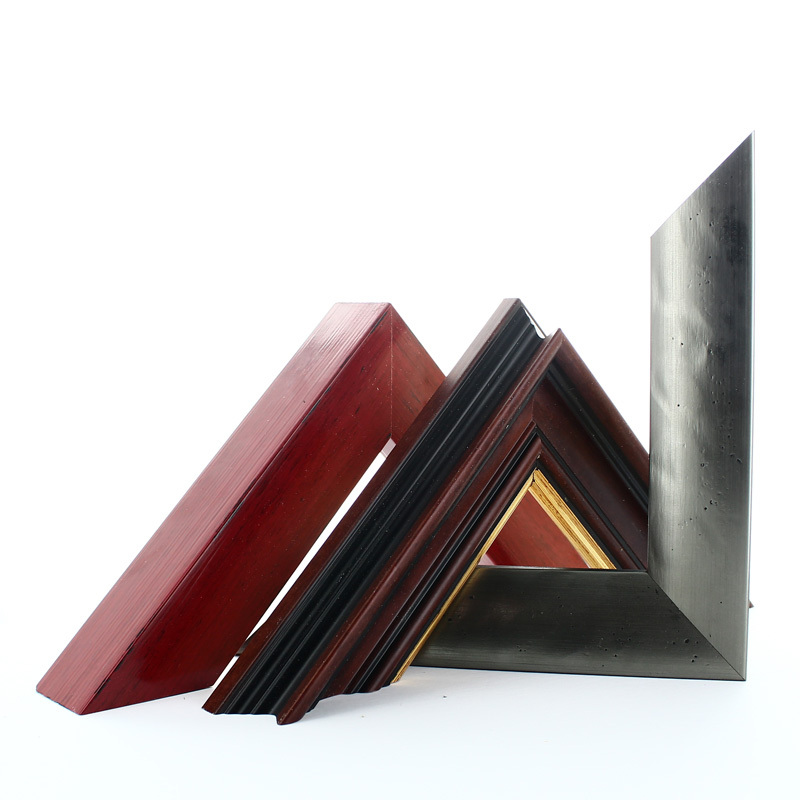 To learn more about the different types of picture frame available, take a look at our wide range of made-to-order floater frames and traditional frames, with various widths and internal depths to suit any size of stretched canvas. You can also get in touch with us via our contact page for more assistance.